Learn the instructional moves that make up the unique framework. 5.3 Launch Read to Self first. 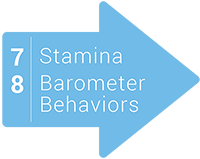 Support Discover the Elements: Stamina and Barometer and uncover teaching strategies that reinforce desired behaviors and sustain the framework in action.